The march was organized by a group of civil rights, labor, and religious organizations, under the theme “jobs, and freedom”. Estimates of the number of participants varied from 200,000 to 300,000; it is widely accepted that approximately 250,000 people participated in the march. Observers estimated that 75–80% of the marchers were black. 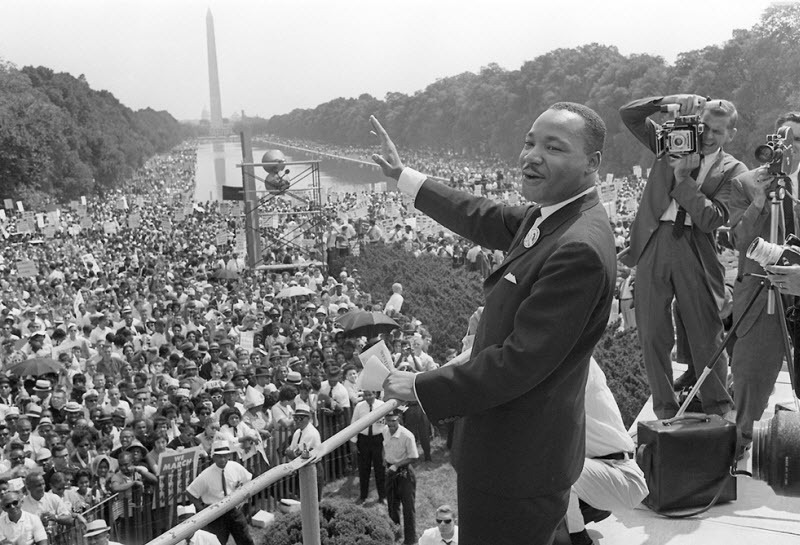 The march is credited with helping to pass the Civil Rights Act (1964) and motivating the Selma to Montgomery marches which led to the passage of the Voting Rights Act (1965). 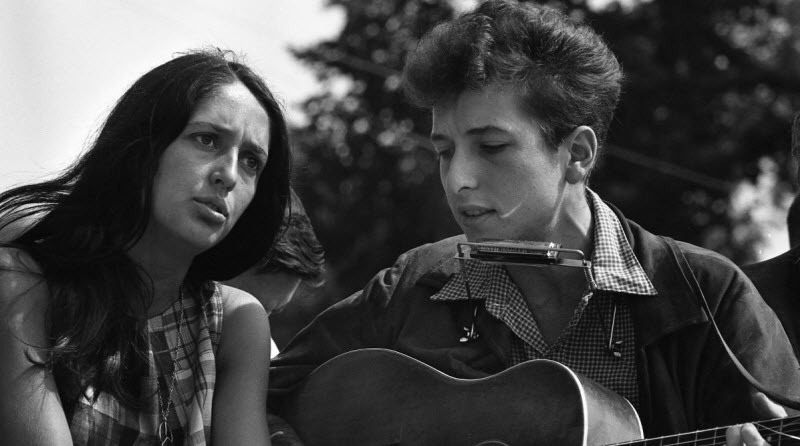 1 Bob Dylan (guitar, harmonica & vocal)., Joan Baez (guitar & vocal).